The 1 kb DNA Ladder is suitable for sizing linear double-stranded DNA fragments from 250 bp to 10 kb. The ladder is composed of chromatography-purified DNA fragments dissolved in TE buffer (10 mM Tris pH 7.5, 1 mM EDTA) at 100 ng/uL. The 1 kb, 3 kb, and 6 kb bands contain more DNA to provide internal orientation. 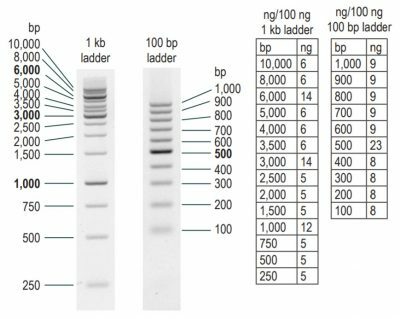 The ladder is supplied with 1.5 mL of 6X Loading Buffer, which contains density agents and two blue electrophoresis tracking dyes that run at approximately 1.5 kb and 200 bp in a 1% agarose gel. This product is an alternative to discontinued item 31021. 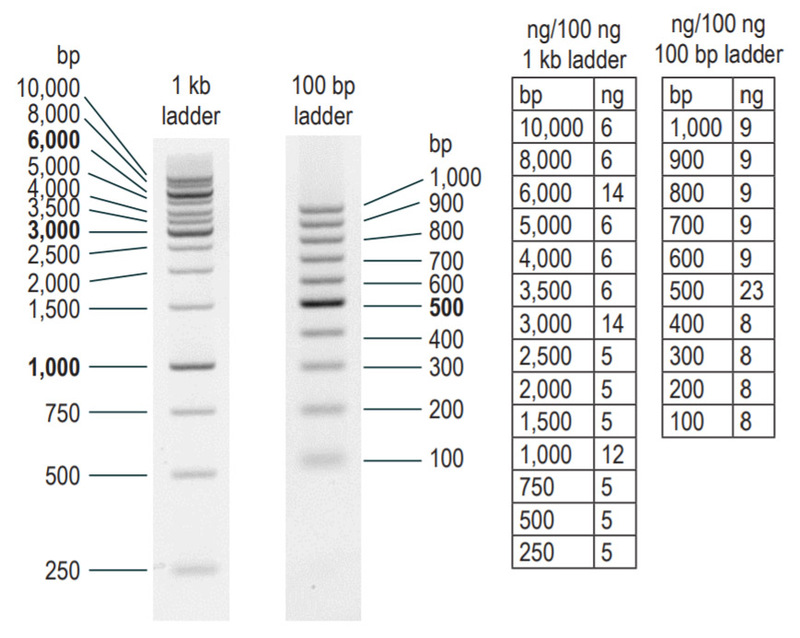 Please note that this ladder contains a different assortment of band sizes than the discontinued 1 kb DNA Ladder (31021) and the Ready-to-Use 1 kb DNA Ladder (31022).